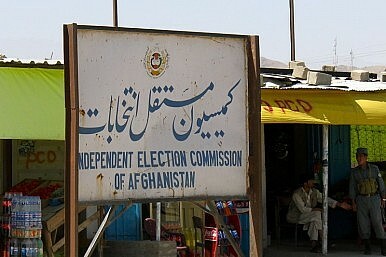 Afghanistan’s Independent Election Commission began announcing the results of the run-off presidential election. Afghanistan’s Independent Election Commission (IEC) began announcing the official results on the June 14 run-off election on July 7 amid accusations of fraud, primarily from presidential candidate Abdullah Abdullah. According to preliminary results, Abdullah’s opponent, Ashraf Ghani, has taken a comfortable lead in the run-off with 56.4 percent of the vote to Abdullah’s 43.6 percent. These numbers were announced by Yusuf Nuristani, the chairman of Afghanistan’s IEC, who also noted that the official turnout for the election was 8.1 million — a significant increase over expectations for the run-off and congruent with accusations of ballot-stuffing and fraud. To compare, in the initial general elections on April 5, which included provincial elections, 6.6 million Afghans voted with Abdullah winning 45 percent of the presidential vote to Ghani’s 31.6 percent (this vote included other presidential candidates as well). The preliminary results give Ghani just shy of a 2 million vote lead over Abdullah. In his announcement of the results, Nuristani cautioned that Monday’s results would be subject to change following an investigation into the fraud that allegedly took place during the election. “Today’s announcement won’t be the declaration of the winner of the election,” he said. “Changes may come after investigation by the [Independent Electoral Complaints Commission],” he further added. In general, Afghanistan’s experience with democracy set a positive note with the April 5 general elections only to be let down with June’s run-off vote. Abdullah’s supporters took to the streets in recent weeks in Kabul to protest what they felt was an example of state-enabled fraud. In general, Afghanistan’s democratic optimism from April has significantly declined over the spectacle of this run-off election. The problem for Afghan democracy is not the Afghan people, but the administrative corruption that is allowed to persist. As observers of the election have noted, administrative practices were not airtight enough to prevent corrupt practices from undermining voters’ faith in the supposedly “independent” election commission. Abdullah has alleged collusion between Ghani’s campaign staff and government election officials. As the IECC investigation concludes and the IEC prepares to release final results, Afghanistan increasingly faces the prospect of political uncertainty during an important democratic transition for the country. A power sharing deal, brokered between Ghani and Abdullah, is one possible resolution to the crisis but appears increasingly unlikely. Monday’s announcement was reportedly delayed to give additional time to the two candidates to resolve their differences in private but that has evidently not succeeded. Abdullah has said that he would accept defeat should the IECC and IEC convincingly demonstrate that Ghani won the election without the help of fraudulent votes.